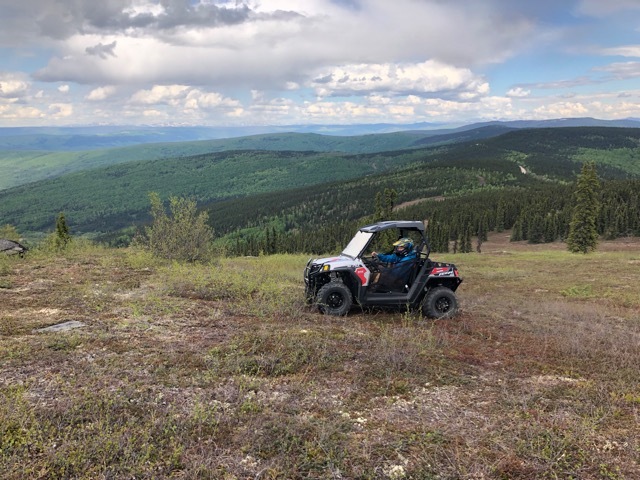 Take a guided ATV tour through the hills north of Fairbanks in the heart of Interior Alaska. Enjoy beautiful views from the rugged Circle Trail in an area where miners have moiled for gold for the last 100 years. Expect to be on trail about three hours. Drivers of our machines must be at least 16 years old with a valid drivers license. Anyone under the age of 18 must be accompanied by a parent or legal guardian. Passengers of our RZR 570 two seater machines can be as young as 12 years old with a parent or legal guardian driving the vehicle. Persons with neck, back, or any medical conditions should consult their doctor before riding. Women who are pregnant are not allowed on our tours. Please note that we will be hours from medical attention at points on the tour. We are happy to pick you up at Fairbanks’ hotels and other central locations and this is included in our pricing. If you wish to transport yourself up to the tour’s start at Ski Land, please inquire about a discount. To arrange a pick up please email us at info@skiland.org. 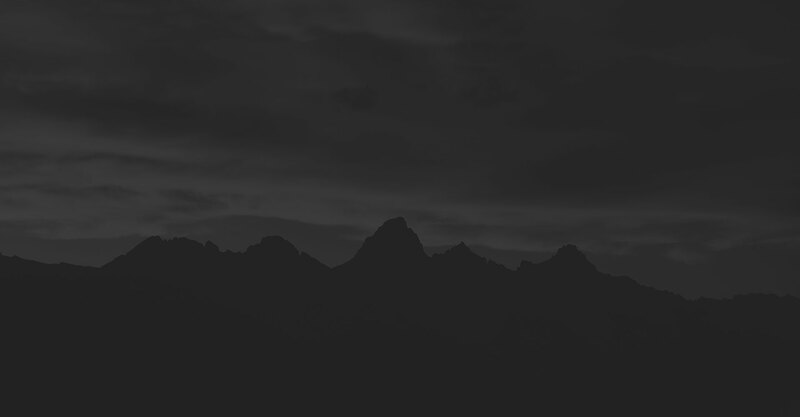 Pick up is at 9 am, arriving at Ski Land appoximetly 30 minutes later. 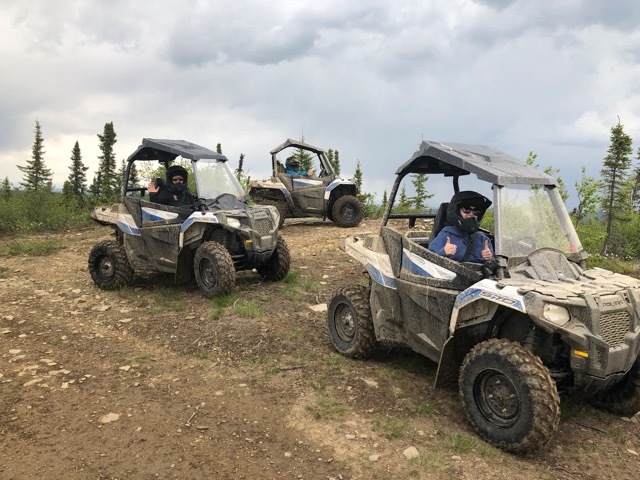 We will do a breifing and quick ATV safety training then hit the trails in your own ATV. 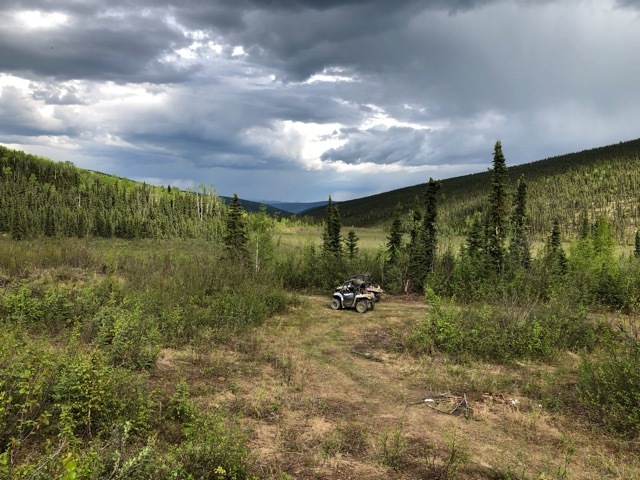 Then, we will head out to the historic Circle Trail, once used by miners seeking their fortune, for our tour which highlights the wonders of Interior Alaska. At the end our trip we will share pictures and videos of your wild ride. Expect to be back at your hotel around 2 pm. The Circle Trail offers many amazing views as a good part of it is along ridge tops. However, this also means weather can change quickly so prepare accordingly. Dress in warm layers and realize there’s a few spots where you can expect your boots to get wet, even on the sunniest day. We will provide and require helmets and goggles will also be available. For those wanting to know more about the Circle Trail, click here for a good resource on what to expect!